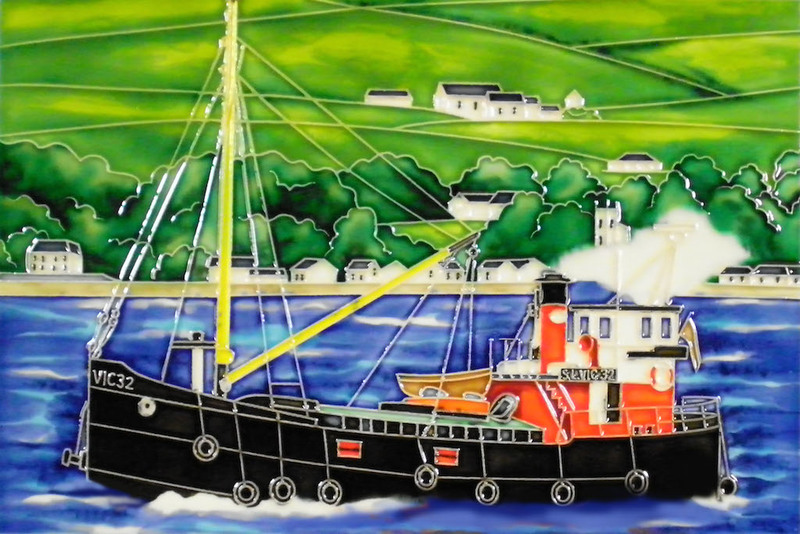 A hand painted decorative ceramic picture tile with a painting of the only traditional Clyde Puffer still in operation. This type of vessel, made famous by the Para Handy BBC series with the Vital Spark, served the west coast of Scotland for many years delivering all types of material to some of the more remote harbours. Measuring 8 inches by 12 inches and with very strong colours, this is a beautiful picture to hang on your wall or a great gift for any boat lover. The tile is supplied inside a presentation box, with a black felt covered backing and a hanging hook both of which can easily be removed if the tile is to be fixed to a wall.